With the fall release of his critically lauded Living Hope, Phil Wickham has unveiled Living Hope (The House Sessions). Recorded live in an intimate setting, Living Hope (The House Sessions) invites listeners into a meaningful, visceral time of worship. Read More With the fall release of his critically lauded Living Hope, Phil Wickham has unveiled Living Hope (The House Sessions). Recorded live in an intimate setting, Living Hope (The House Sessions) invites listeners into a meaningful, visceral time of worship. "It was such a special day a few months back to come together with friends to worship and create these songs. We crowded together in a small room and recorded live, stripped-down versions of nine tracks off of Living Hope," said Wickham. "Many of the songs were written with my local church in mind and they have since become a regular part of our gatherings. With Living Hope (The House Sessions) we wanted to capture the raw heart of why these songs were written. I’m excited to get to share them with everyone, and I hope and pray they are a blessing to whoever wants to listen." For me personally I think Living Hope as an album is one of Phil's best albums to date, so to hear that this release was coming out so quickly was a great treat. When I write a review I usually listen to the songs and take notes. I'm always thinking which tracks I like, what I enjoy about the album and sometimes I spend more time reviewing than enjoying. I know I shouldn't always do that, that’s my issue and I will deal with it. Yet with this album I didn’t just review the album, I sat back and let the song wash over me. I enjoyed and got lost in the album and spent time worshipping. I personal think that’s the biggest compliment I can give this album. Phil is a wonderful talent who has this amazing voice. He might always get pigeonholed as the man that gave the world a certain song (You're Beautiful). Yet there is so much more to his armour. And this collection of songs, done in this setting, is close to perfection. The intimate setting works so well for these songs. A special mention must be given to the vocals on 'Till I Found You' which has Phil sounding like the powerhouse Sam Smith. There are so many moments like that on this album. As you would expect there is a raw and natural feel to the album because of how it was record. It even has a coffee house feel to it yet there is so much more happening than the excitement of a morning coffee. God is moving in these songs and beats an espresso any day of the week. Phil Wickham is a true gent and keeps everything real. I love this collection of songs done in this way. Amazing. 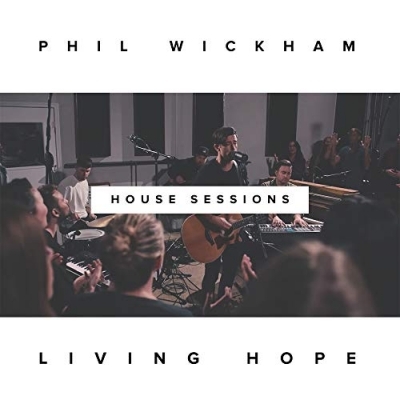 Our Album of the week is Phil Wickham and 'Living Hope (The House Sessions)'. Have a Listen and tell us your favourite tracks!